“30th Anniversary Rose Festival” is being held with more than one million roses covering an area of 33,000 square meters from May 8 to June 14 in Everland, a Koreaʼs representative theme park in Yongin, since 1985. 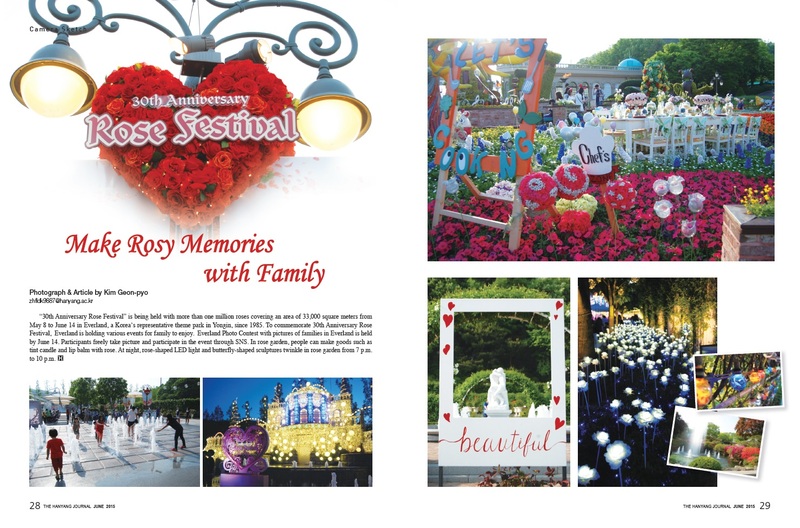 To commemorate 30th Anniversary Rose Festival, Everland is holding various events for family to enjoy. Everland Photo Contest with pictures of families in Everland is held by June 14. Participants freely take picture and participate in the event through SNS. In rose garden, people can make goods such as tint candle and lip balm with rose. At night, rose-shaped LED light and butterfly-shaped sculptures twinkle in rose garden from 7 p.m. to 10 p.m.